This was taken in the foothills west of Fort Collins (Cherokee) and shows off diagnostic light pollution in addition to zodiacal light. Image Notes: 476 consecutive 28 second, f/3.2, 14 mm, ISO 2500 exposures taken. 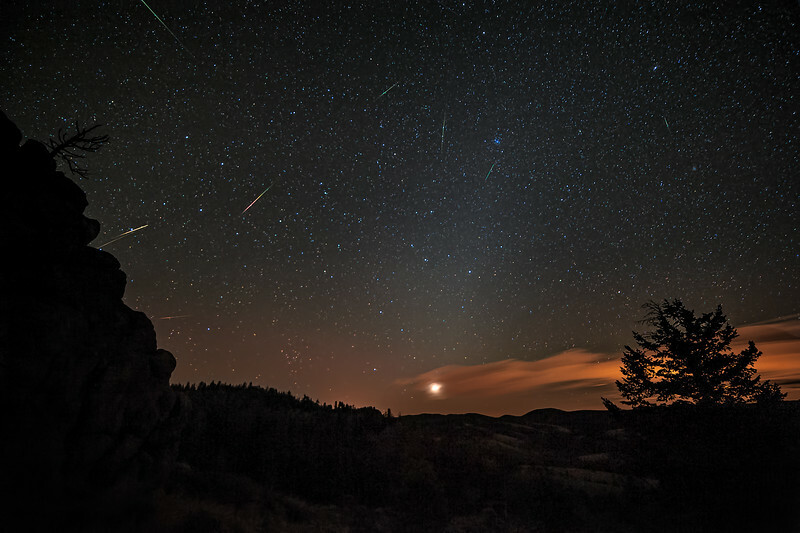 Nine with meteors were used here for a composite image achieved via lightness blending methods.